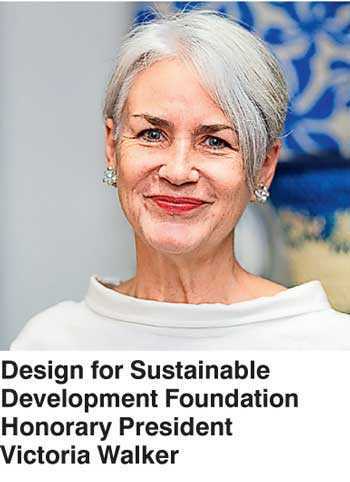 Interview with Victoria Walker, Australian international relations veteran appointed honorary president of Design for Sustainable Development Foundation. When the Design for Sustainable Development Foundation was launched few years ago, the big idea was to facilitate designers and artisans to collaborate with one another to create contemporary craft products, and create a network of retailers, buyers, brands and businesses that valued and purchased them. It was about putting design at the service of people and towards the development of their economies. Today, the foundation works with over a thousand artisans across Sri Lanka, close to 50 designers from both local and international backgrounds, and a growing network of clients. This includes the hospitality and tourism industries, individual retailers, and brands. 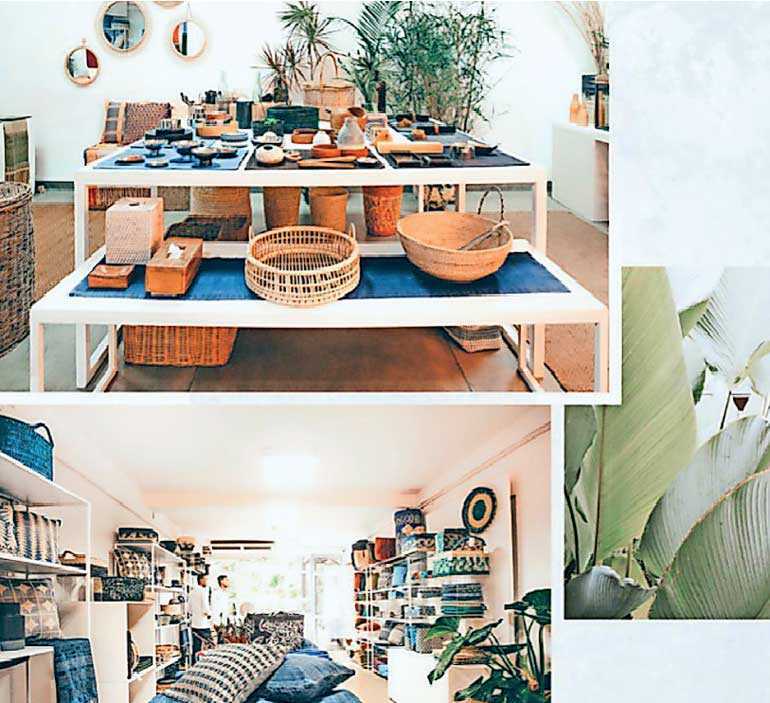 DFSD has also inspired brands like Island Craft and Fashionmarket.lk to present contemporary craft based collections of fashion, homeware and lifestyle products utilising the DFSD foundation as its base. With all this success in the local market at its hand, DFSD is now ready for the next stage, extending beyond home shores. Signifying this major move, DFSD recently announced its new honorary president – Victoria Walker. Walker who is, very fittingly, an international relations expert with over 25 years’ experience, who harbours a lifelong passion for traditional craft and textile arts from around the world. She is bringing the expertise she garnered from postings in Laos, Canada, India, and as Australian Consul General to Chicago, and from her work in areas of sustainable development, women’s rights and international environmental agreements. Discussing this new role, what excites her about it and what she envisions for DFSD’s future as it begins to evolve beyond Sri Lanka, Victoria Walker joined in for this interview. Furthermore, Victoria also closely resonated with the foundation’s work in helping artisans find new markets, empowering women, and preserving heritage craft. “All these objectives struck a chord with me – as I think they do for the many people who love beautiful craft and textiles and who want to support the extraordinary skill of traditional artisans,” she adds thoughtfully. Amidst all this, Victoria also found DFSD that meant another great thing to her, even at a more personal level – this is an opportunity to follow her life’s interest in handcrafted textiles and craft. For years, Victoria had collected fascinating traditional textile from cultures throughout Asia. In Sri Lanka too, she has been amazed by the artistry and skill of traditional artisans. “Creative expression is rich and unique here, and it’s evident in its textile and craft traditions. I’m also very serious about being a responsible and ethical consumer. I care that the artisans who make my textiles and craft are treated respectful and paid properly, and that the craft is produced in an environmentally responsible manner. DFSD, and everyone involved in it, shares this passion for ethical and responsible behaviour,” she adds, opening up another dimension where she resonates so well with the DFSD foundation philosophies. Victoria also shared her thoughts on another core element of the DSFD Foundation vision. This is, facilitating female empowerment through its work and operations. “Full participation of women and men is necessary to achieve our full potential as an organisation and a society. This is where ensuring women have an equal voice in matters that affect them is not just right, but also a smart strategy. With DFSD, many of the artisans that have been supported by us so far, have been women – primarily in the war-affected areas the North and North-east. A great majority of them are the income earners for their families, and have had additional hurdles in their quest to make a dignified living. DSFD works respectfully and closely with these women and provides them with a safe and supportive environment to develop that voice, act on behalf of their family and community and develop their skills to a new level. We have seen the difference that this support can make and are committed to staying the course,” she says. She concludes the interview, inviting pen discussion, conversations and collaborations. To connect with DFSD Foundation and its new Honorary President Victoria Walker, reach AOD on 0115867772 or info@islandcraft.lk.